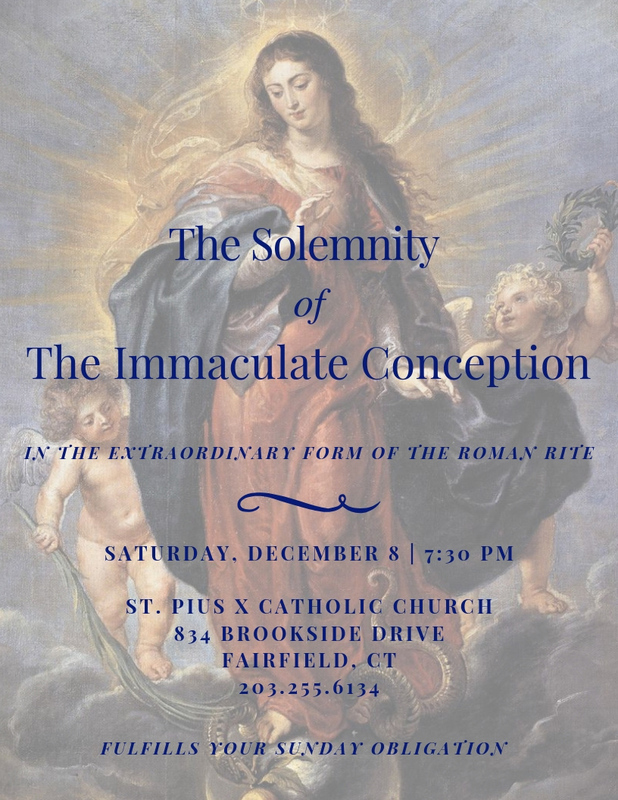 The Parish of St Pius X in Fairfield, Connecticut is celebrating the Feast of the Immaculate Conception with a Solemn Mass in the Extraordinary Form at 7:30 p.m. The church is located at 834 Brookside Drive. The Rev. Timothy Iannacone, the parochial vicar, is the celebrant, with the Revs. Richard Cipolla and Michael Novajosky as deacon and sub-deacon, respectively. 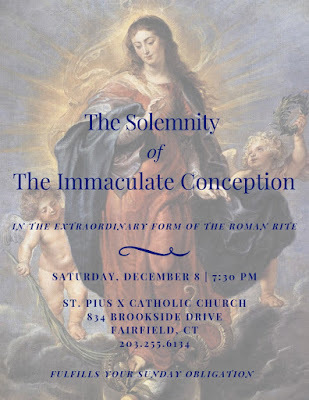 A choir representing the parish and volunteers will sing the propers as well as a polyphonic setting of the ordinary. This is the fourth in a series of scheduled masses in the ancient rite at the Parish, . The pastor, the Rev. Sam Kachuba has supported the masses and a return to more traditional forms during his tenure at the church. Masses in the past have seen large congregations, and requests by parishioners for more celebrations in the extraordinary form.